For the past four years Syngenta has taken the winners of the Growth Awards on an expenses-paid Study Tour of Europe and the UK. With the judges almost ready to name their winners for 2018, let Syngenta Campaign Manager Jane Dickson take you back a few months with the 2017 winners, to see what it's all about in this two part series. 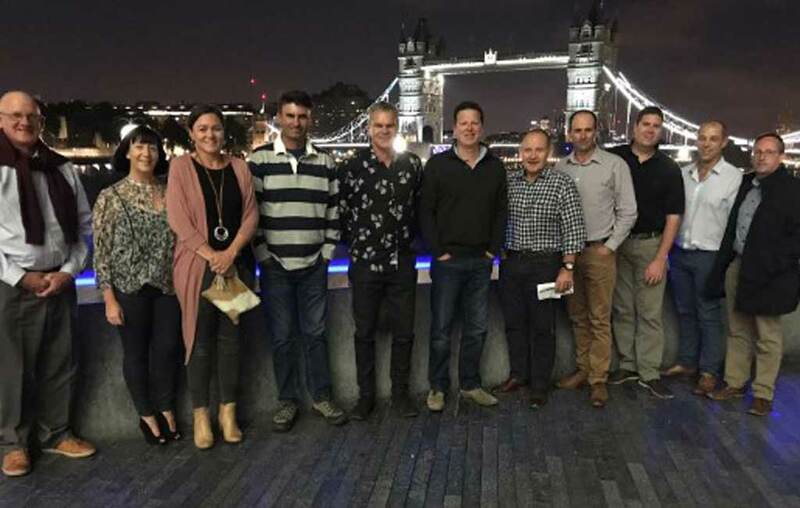 An excited group of Australian and New Zealand Growth Awards winners and hosts begins the week long study tour with a welcome dinner at London’s Gaucho restaurant, after a busy day of touring around the city, taking in the main attractions. It was a great opportunity for the group to get to know each other again, following the Gala Dinner in Sydney in late 2017. The conversations quickly got underway with plenty to talk about including what we were all looking forward to during the week ahead. We were very fortunate to have a rare glimpse into the day-to-day of Royal Farms in Berkshire. 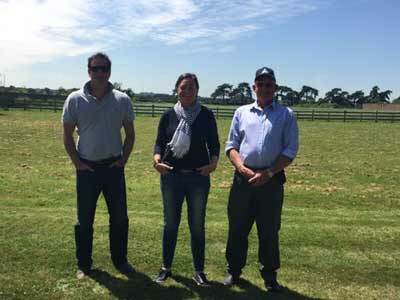 Mark Osman, farm manager met us and took us on an extensive tour of the property into areas that the general public don’t get to see. Angelina Jolie was filming Dr. Doolittle 2 at Royal farms while we were there (no, we didn’t make a guest appearance)! 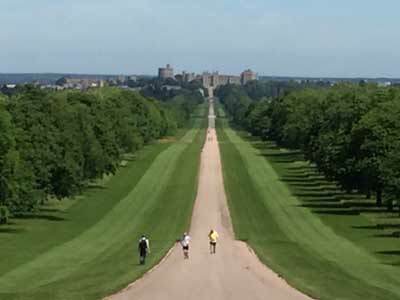 The Duke of Edinburgh, The Queen and Prince Charles are all very active in the management of the property, with the Queen out riding on the day we were there. The success of the Royal Farms, stems from the belief that it is all about people, with the Royal family, being very hands-on, getting on the same level as those that work for them and helping out to get the job done. The Royal Farms supply produce for the functions that are held at the all the Royal residences, in addition to having a very busy retail store and café, where locals and tourists alike can purchase produce, enjoy a meal or take home a souvenir from their visit. 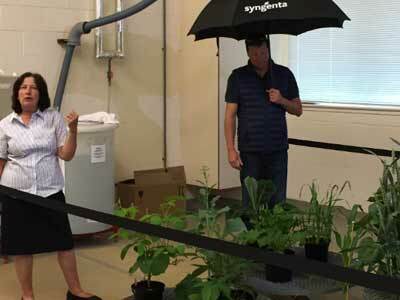 A visit to Syngenta’s Jealott’s Hill facility gave the group some rare insights into our company's R&D capacity, with Jim Moreton guiding the group through a number of the areas of the operation. The screening labs utilise the latest in digital technology when assessing actives, and identifying those that will progress for further testing. We then moved into the greenhouses where we met Lucy Jackson, who specialises in resistance management. 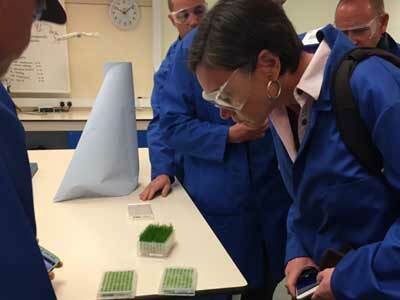 Of particular interest to the group was her work with Wagga Wagga-based Selective Herbicide Product Lead Garth Wickson, in developing the RISQ test. We then heard from our bee expert, Helen Thompson, who has built her career working in and around bee health and bee science. Her presentation was very topical and passionate, sparking some great conversation with the group. The group then took in a very practical demonstration on rainfastness at the rainwater tower. Luke offered to stand under the rainshower (with an umbrella!) as several Syngent products were tested under various conditions. Finally, we spent some time in the Digital Innovation lab, where the latest in digital technology is bringing simpler, easier solutions to our customers and creating a better user experience with real time, relevant applications and tools to make better decisions and streamline their businesses. Our AgriClime program was featured on their wall as a key project with some sophisticated tools providing the information for the program to run efficiently and effectively. 'The expertise, time and cost involved in getting a product onto a plant... it makes you question, are "we" the weakest link in getting the technology onto the plant?’ Grower Ray Harrington, Sustainability Category Winner. 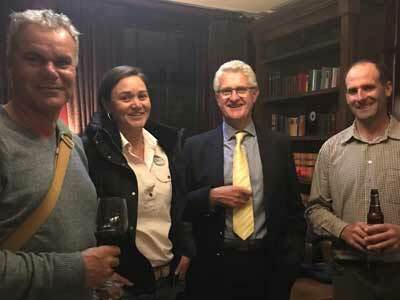 Following a great day at Jealotts’ Hill, we travelled to Cambridge, where Will Holmes introduced us to some of the UK Syngenta team and hosted us for a meal at a local pub with some of their key customers. Very quickly the conversations started between the locals and visitors, with ideas, challenges and thoughts being exchanged. It was a great opportunity for networking with some inspiring leaders involved in UK agribusiness, with Duncan, Kirrily and Luke planning to keep in touch with a few agronomists, there was a big appetite to share and compare information and practices, to help in future planning, and meeting some of the challenges that face the industry on both sides of the world. Stay tuned for the second and final chapter from the 2017 Growth Awards Study Tour. 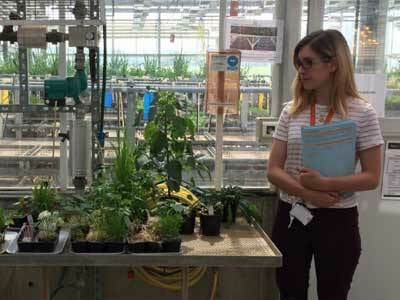 In the next instalment, the group goes on a UK field walk, then travels to Syngenta headquarters at Basel, while taking in a few sights along the way.